Cancer immunotherapy has experienced a breakthrough by the introduction of checkpoint inhibition with antibodies. Response appears to be correlated with mutation load; the majority of cancer patients are nonresponders, possibly due to absence of immunogenic neoepitopes. We analyze the entire detectable landscape of HLA ligands on tumor samples, consisting of 1000 through 5000 peptides per sample, and find dozens to hundreds of peptides in germline sequence with apparently tumor specific expression, based on the absence of these peptides on adjacent autologous benign tissue and absence on a large number of normal tissue samples from all organs and tissue types available for analysis. 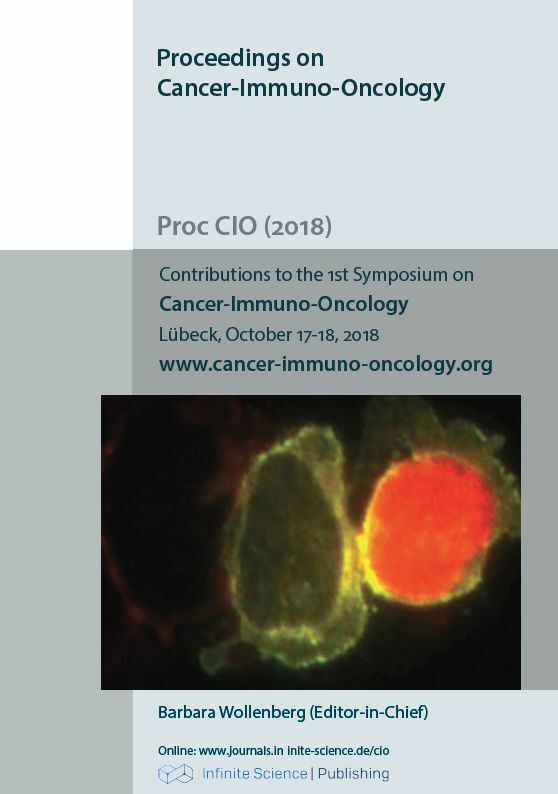 We have evidence that non-mutated HLA ligands with tumor specific expression should be efficient as targets for personalized antigen specific immunotherapy, in particular if used with an efficient adjuvant.